The popularity of Bitcoin didn’t only serve to push its value to record highs in 2017, it also led to a number of different products popping up online as silver for sale. Anonymous Mint threw its hat in the ring with some of the most inspiring Bitcoin silver round designs, launching its own collections with the Bitcoin Guardian. Today, 1 oz Colorized Proof Silver Bitcoin Guardian Commemorative Rounds are available to you online at Silver.com. Third silver option in the debut Bitcoin Guardian release! Mintage limited to X rounds only! Obverse bears the well-known Bitcoin symbol. Reverse includes a portrait of the mysterious Guardian. Serial number engraved on the round’s edge. Designs created by Julie Lindquist. 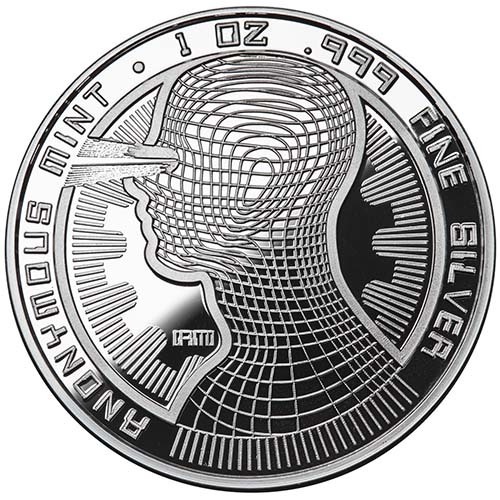 Anonymous Mint is a private coining operation in the United States that primarily focuses its energies on the development of unique, low-mintage silver rounds. Responding to the surging demand for all-things Bitcoin, Anonymous Mint’s lead coin designer Julie Lindquist led the charge as the mint developed two impressive Bitcoin silver round collections. The first of these is the popular Bitcoin Guardian Commemorative Round. With a reverse design unlike any other silver product available, the field on this side wasn’t left blank or given a simple “digital” background. Anonymous Mint developed the image of the Guardian, an all-seeing individual watching out for your anonymity in online activity. 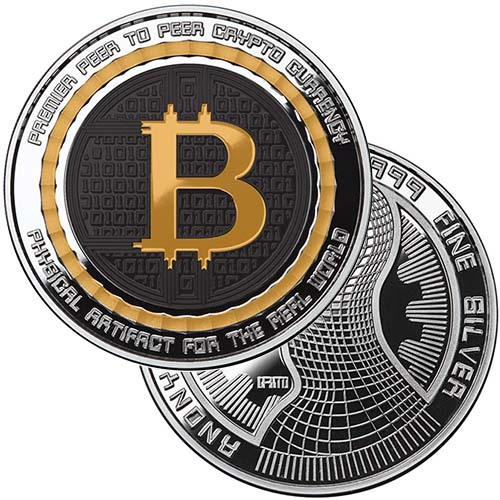 All 1 oz Colorized Proof Silver Bitcoin Guardian Commemorative Rounds are available to you inside of a protective plastic capsule. The rounds have a unique serial number engraved on the edge, with a Certificate of Authenticity that includes that same number and is included with your purchase. On the obverse of the Silver Bitcoin Guardian Commemorative Round you’ll find the familiar symbol of the crypto currency. The Bitcoin symbol is reminiscent of the US dollar symbol, with a capital “B” featuring two vertical lines struck through it. 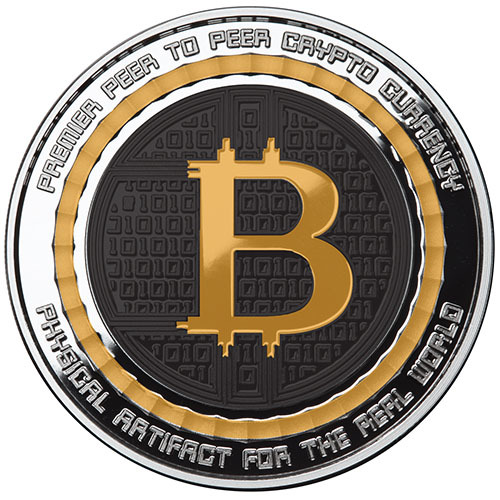 There are also engravings that read “Premier Peer to Peer Crypto Currency” and “Physical Artifact for the Real World.” Colorization is added to this side, with the Bitcoin “B” colorized in a golden hue and a circle around it bearing the same colors. Please feel free to reach out to Silver.com with your questions. You can reach us on the phone at 888-989-7223, connect with us on the web through our live chat, or email us directly.